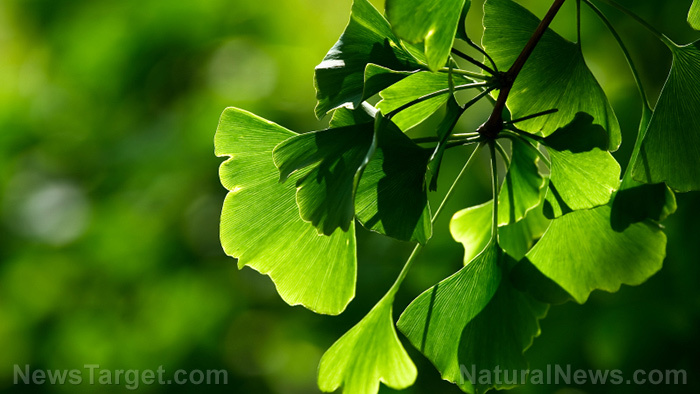 (Natural News) Young, active men may greatly benefit from taking extracts from Ginkgo biloba leaves, according to a study published online in Nutrients. To carry out the study, Polish researchers at the Jerzy Kukucza Academy of Physical Education and the Poznan University of Physical Education examined 18 young active men who were instructed to take either a standardized Ginkgo biloba extract or placebo for six weeks. The results showed that maximal oxygen uptake (VO2max) improved in both groups. However, the research team observed significantly higher increases among those who took the Ginkgo biloba extracts. The study also revealed that both groups did not show an increase in resting brain-derived neurotrophic factor (BDNF) levels. However, the scientists found that supplementation with standardized Ginkgo biloba extract resulted in clinically significant increases in BDNF levels during strenuous physical activity. “Mahady [Nutr. Clin. Care, 2001, Vol. 4, pp. 140-147.] showed that recommended dose of [standardized Ginkgo biloba extract] to achieve beneficial effects is located in a dose between 40 and 60 of [Ginkgo biloba extract] three to four times daily…In our study, subjects consumed 160 mg of [Ginkgo biloba extract] once a day for six weeks, which may explain only a marginal (six vs one percent) increase in the relative percentage VO2max change (baseline to intervention) scores in individuals receiving, respectively, the [Ginkgo biloba extract] or the placebo capsules…Our results show that six weeks’ supplementation with a standardized Ginkgo biloba extract in physically active young men may provide some marginal improvements in their endurance performance expressed as VO2max and blood antioxidant capacity, as evidenced by specific biomarkers… Moreover, it may provide somewhat better neuroprotection through increased exercise-induced production of BDNF,” the researchers wrote in a Nutra Ingredients U.S.A. article. An animal study published in 2013 revealed that Ginkgo biloba extracts may also boost brain function in more serious cases such as dementia. As part of the research, health experts at the Weifang Medical University in China examined rat models with vascular dementia. The scientists then gave the rat models a Ginkgo biloba extract known as EGb761. The animals were then subjected to the Morris water maze test to evaluate their learning and memory abilities. The research team found that giving the animal models the extract resulted in better outcomes after a series of learning and memory test. Likewise, the rats exhibited a significant growth in neural stem cells in certain brain regions. According to the experts, the extract helped promote growth in the brain regions for up to four months. The peak of stem cell growth occurred around one month after the model of vascular dementia was induced and the subsequent supplementation has begun. The scientists also noted that the findings provide new insights and approach to further study the potential of induced neural stem cell proliferation in situ to alleviate vascular edema. “The experimental findings suggest that EGb761 enhances proliferation of neural stem cells in the subventricular zone and dentate gyrus, and significantly improves learning and memory in rats with vascular dementia. EGb761 administration can regulate neural stem cell proliferation, migration and differentiation, and promotes cell proliferation and differentiation in rats with vascular edema. This evidence suggests that there is an optimal phase (time-window) for promoting the proliferation of neural stem cells,” the researchers said.